The Perfect Gown is Winnipeg's first bridal salon specializing in wedding dresses for women size 14 to 32. We believe every bride, no matter her shape or size, should feel excited about dress shopping and should feel beautiful in her dress. Come visit and let our bridal consultants help you find your perfect gown! For more updates and sneak peek previews, please follow us on our social media platforms! ❤ OUR BEAUTIFUL BRIDES ❤ feel free to send us photos of you on your big day! We would love to see them. 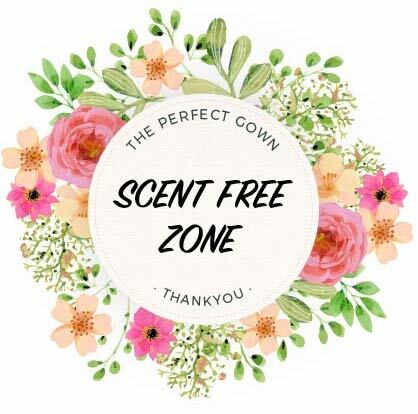 The Perfect Gown has a strict scent-free enviornment due to the owner's severe scent allergy. We kindly ask to refrain from wearing any unnecessary scents when visiting the store. This would include perfume, body spray, scented lotion, and heavily scented hair products. We reserve the right to ask anyone wearing strong scents to leave the store at any time for the safety of the owner's health.